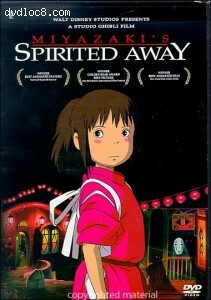 This page contains easter eggs for the disc Spirited Away (DVD, Region 1). On Disc 1, from the Main Menu, access the 'Bonus Features' option. Now, press LEFT and the words "Meet Hayao Miyazaki" will appear. Press ENTER to reveal a special hidden interview with the artist!